danger garden: See you in DC? 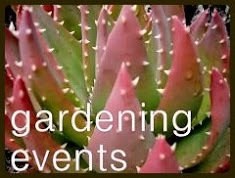 As I write this the Northwest Flower & Garden Show is just a week away. I can't wait! 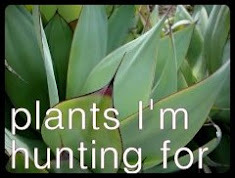 Oh sure, I'll probably roll my eyes at a few of the display gardens, and no doubt I'll complain about the lack of actual plant vendors...but those small gripes aren't enough to dampen my enthusiasm. What I'm most excited about is seeing my people again. 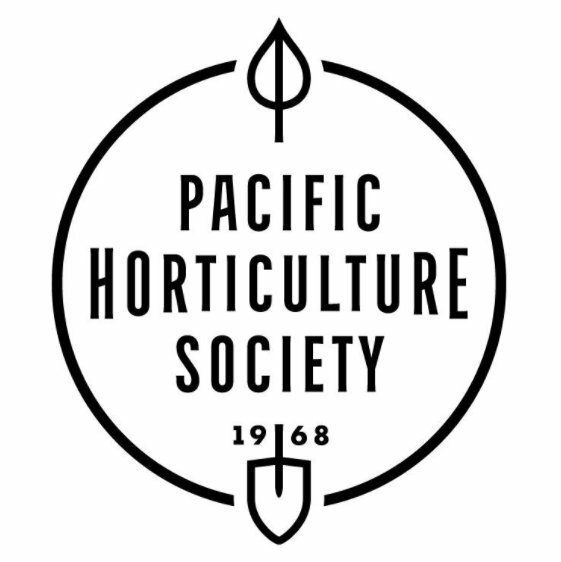 My PNW garden blogger friends, garden writer friends from around the U.S., and frankly even the strangers...the folks who show up at the show itching for spring, other gardeners. Looking out beyond the show my calendar is dotted with special dates, ones that might as well have a big green heart on them. 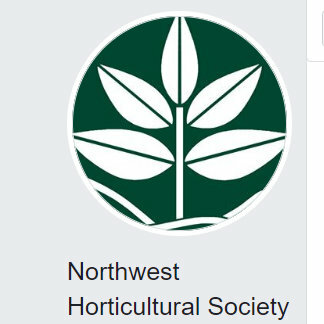 Next up is Hortlandia, the Hardy Plant Society of Oregon's big spring plant sale (April 15 and 16). The EXPO Center filled with specialty nurseries from around the PNW, and people in town to shop, buy plants, and see friends. It's a party! Then comes the biggest reunion of them all, the annual Garden Blogger's Fling, this year held in the Capitol Region (Maryland, DC and Virginia - June 22-25). I realize when I say "reunion" it sounds rather exclusive, like if you haven't been to a previous Fling then you're not welcome. Ha! Nothing could be further from the truth. The Fling is open to all garden bloggers with an active blog, and the warm welcome new faces receive should have them feeling right at home in no time at all. Fling attendees relaxed and enjoying a catered dinner at Bella Madrona, the last stop on the 2014 Portland Garden Bloggers Fling. Oh and that lady in the middle front, with the orange scarf? That's TL, the lead organizer for this year's Fling! I missed last year's event, and as a result I'm extra excited for this year's. If you follow me on Instagram you may have noticed I've recently posted several photos from previous Flings. The gardens I've visited in the Fling host cities really stick with me, and I find myself pulling those posts up ever so often for inspiration. In addition to co-hosting the Fling right here in Portland in 2014, I've "Flung" in a climate very similar to mine (Seattle, WA) one I dream of gardening in (San Francisco, CA) and one colder than mine (Toronto, Canada). 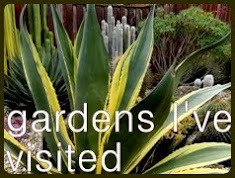 With the extreme winter we endured here in Portland this year I'm actually quite thrilled to be visiting gardens in another colder region (winter cold mind you...I am well aware of their summer heat and humidity), maybe there's a whole new group of cold-hardy plants waiting for me to discover them! A big take away for me from the Toronto Fling were the Ligularia, virtually every garden grew it least one beautiful patch! So, why all this reminiscing? Because there are still a few spots left to fill for the upcoming Fling and I want to encourage anyone who might be considering it to take the plunge and do it! You won't be disappointed. The Matt Gil Sculpture Garden, one of my favorite stops on the 2013 SF Garden Bloggers Fling. It's like a cruise, only better. After you register, book your hotel (Hyatt Regency Reston is the offical hotel, with special rates for us!) and get yourself to DC then your work is over. Luxury coaches (some might call them buses) show up in front of the hotel each morning and whisk us away for a day of garden touring. We tour public and private gardens, and lunch is provided. 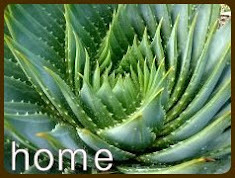 After your eyes (and camera) are exhausted from looking at beautiful plants and gardens, the coaches will take us back to the hotel where (depending on the specific itinerary) you'll either be free to enjoy dinner with friends, or there might be another Fling event later that evening. You'll also get some fabulous (free) swag, meet people who's blogs you've been reading for years — as well as learn about new-to-you blogs. Curious about who else is attending? Here's a list of those who've registered thus far. Have I convinced you? Well then get to registering (here) because there are less than a dozen spots left! I look forward to seeing you (and others) there, Loree! Can't wait! We're gonna have a blast. If the photos aren't enough of a lure, your prose should seal the deal. Except that I am not a good traveler and hate flying. I always end up with a killer migraine. Last year Tammy was trying to convince me to go but not even she could do it. Thankfully you'll have lots of photos to enjoy. I wish you would go Grace, but I understand why you're not. Have a gander at the list of attendees! Looking forward to seeing and/or meeting everyone. I can hardly wait to see everyone!! It's going to be a blast! 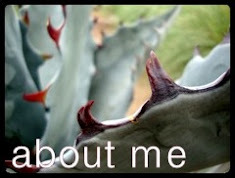 :o) Love this post! You're planning quite the party for us! 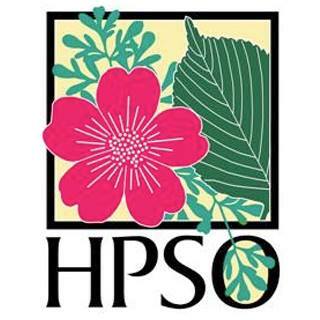 I just joined HPSO and I'm super pumped for Hortlandia! 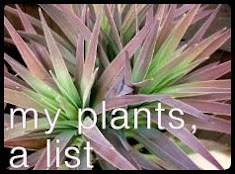 I am volunteering as a cashier assistant on Saturday and hope to scope out the must have plants for my new garden. Ah that's wonderful Audrey! I'm volunteering on Saturday too and maybe we'll meet. You are in charge of bringing it home to us stay-at-homes...so glad you are going. My camera will get a workout! Not much beats days and days of garden touring and frivolity with like minded friends. I'm certainly looking forward to it! I'm so glad you're going. Garden Bloggers Fling magic, for sure. It's so much fun. You've described it perfectly. Oh I wish I could go!!! Little baby though so a bit too far to travel with him this time. Looking forward to it — had a blast and met some great people at the Portland Fling. Love DC and looking forward to seeing the garden end of things!